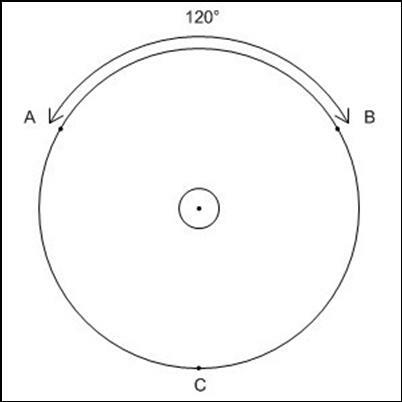 On the outer circle mark 3 equidistant points A, B and C (3 x 120 degrees). Place the compass point on a line between the centre of the circle and point A. 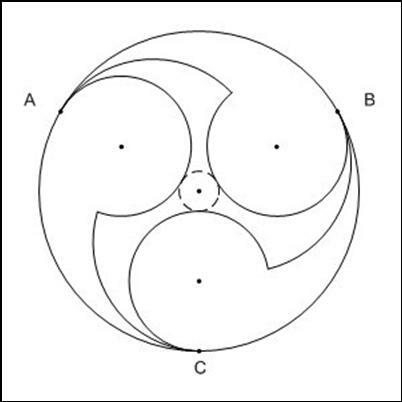 Do the same twice more from points B & C (to make Partial Circles B & C). This stage I do by hand, but you could use a compass. 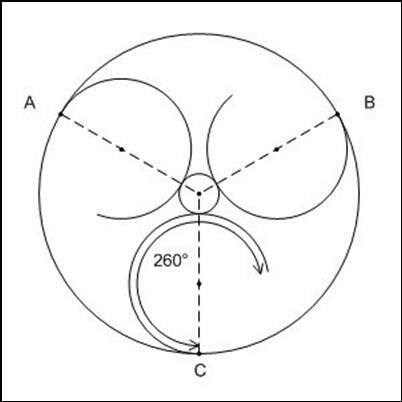 Draw an arc between Point A and the end of Partial Circle B. Do the same to join Points B & C with Partial Circles C & A respectively. 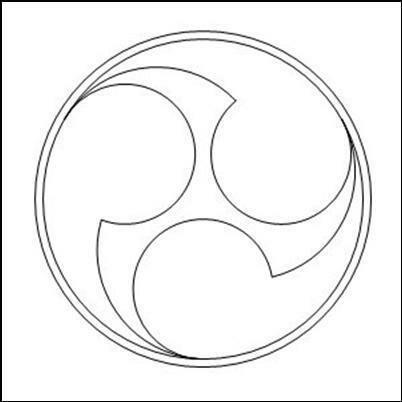 Remove the inner circle and other construction marks to leave yourself with the completed triple tomoe. An extra ring around the outer circle, coloured as the ‘spokes’ enhances the effect. 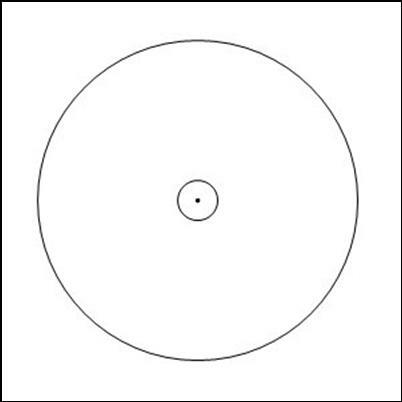 Draw a smaller and larger circle with the same centre. Note: The ratio of the outer to inner circles can vary depending on the comparative sizes that you would prefer for the triple ‘spokes’ and the triple ‘apostrophes’.